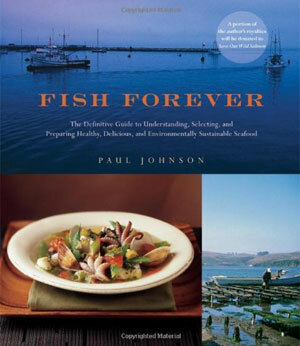 Monterey Fish Market, founded by Paul Johnson and Joan Steele in 1979, is based in San Francisco, California. While we are small enough to provide individual personalized service, our sales volume is great enough to allow us to buy in volume directly from local boats and producers nationwide, enabling us to sell the best quality seafood at fair prices in our wholesale and retail locations. Over the years, we've worked to establish a reputation for quality not just with our customers, but with our network of suppliers. Our suppliers know that if they've got premium product, we're willing to pay for it. We at Monterey Fish Market do our best to bring you the freshest seafood, captured and handled with care and respect. Setting the standard for quality and service has been our obsession since 1979. We follow the strictest guidelines when it comes to seafood handling and expect all our suppliers to do the same. We welcome periodic inspection by the FDA, State and local Health Services. We are HACCP compliant, meaning we comply with a strict set of regulations implemented by the Federal Government to ensure the wholesomeness of seafood. Monterey Fish Market uses only suppliers, growers, producers and fishermen who are HACCP compliant and have a detailed HACCP plan on record. As well, all our shellfish comes from certified waters that are tested by the appropriate state and local health agencies weekly. Monterey Fish employees are involved in all facets of the seafood industry. We give priority to hiring people who have previously been involved in some aspect of the culinary world. We work at being involved in consulting, writing, speaking and educational issues for the seafood industry. This gives us a broader perspective on current issues such as conservation, availability and even cooking technique. We use our background to keep you informed and to help solve problems which may arise. Although we have extensive knowledge of all facets of the seafood business we realize there may be a need for further expertise. If we need information on a subject we rely on a diverse group of industry leaders such as representatives from National Marine Fisheries, National Fisheries Institute and Fisherman's Associations. Our network of experienced advisors and friends include environmental activists, educational and health experts as well as celebrated chefs. ©Monterey Fish Market, Inc. 2011-2018 All rights reserved.